Feb. 14, 2019—Julia Phillips Cohen has been elected to the Advisory Council of the Center for Jewish History in New York. Read more about the organization here. Aug. 16, 2018—Julia Phillips Cohen has been named a member of the Academic Advisory Council of the Center for Jewish History in New York for the next three years. Read more about the organization here. Nov. 14, 2017— Jewish Studies professor Julia Cohen has been elected to the board of the Association for Jewish Studies (AJS). Aug. 22, 2014—By Julia Phillips Cohen and Sarah Abrevaya Stein. (Stanford University Press, 2014) This ground-breaking documentary history contains over 150 primary sources originally written in 15 languages by or about Sephardi Jews. Designed for use in the classroom, these documents offer students an intimate view of how Sephardim experienced the major regional and world events of the modern era. 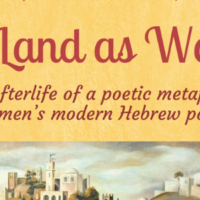 They also provide a vivid exploration of the quotidian lives of Sephardi women, men, boys, and girls in the Judeo-Spanish heartland of the Ottoman Balkans and Middle East, as well as the émigré centers which Sephardim settled throughout the twentieth century, including North and South America, Africa, Asia, and Europe.